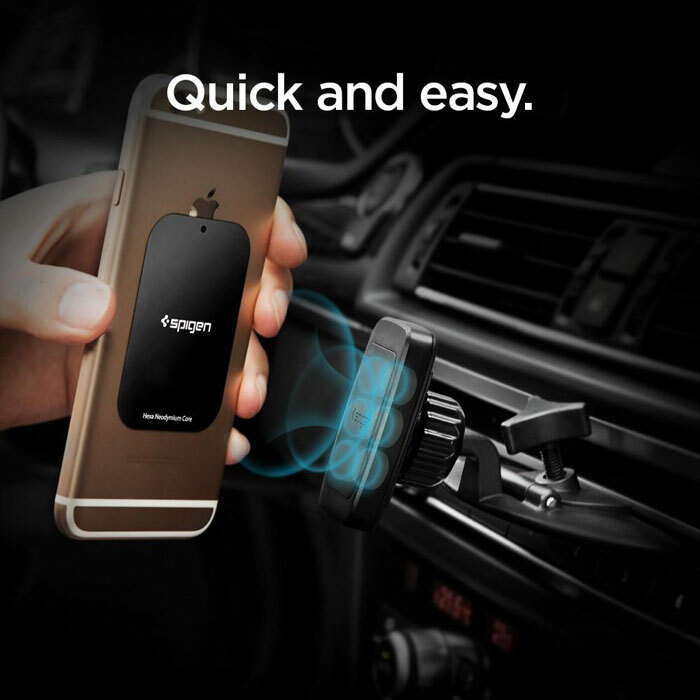 The Spigen CD Slot Car Mount securely fits into any car's CD-slot. 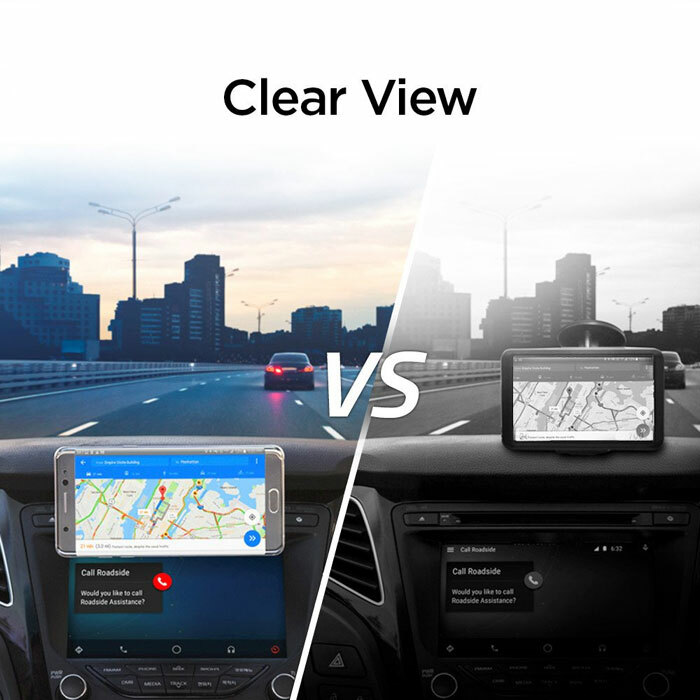 It also allows for easy accessibility for hands-free use while driving. 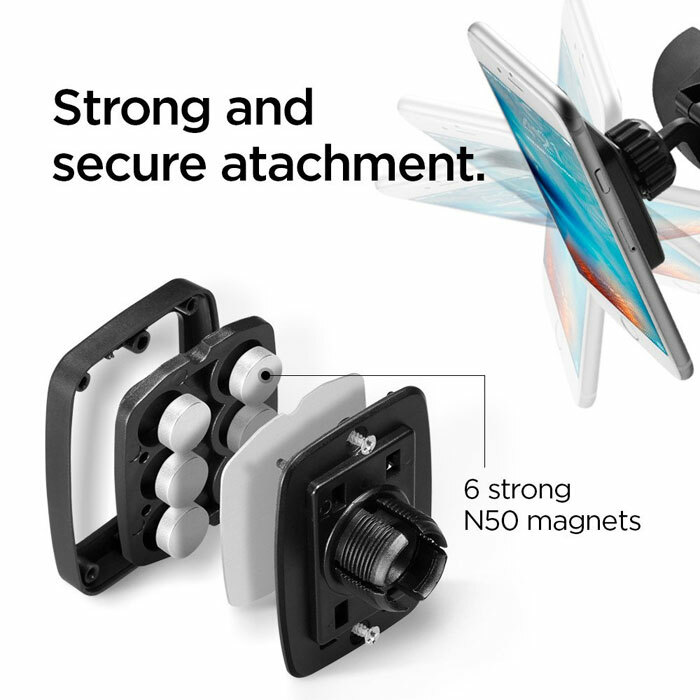 The adjustable ball head swivels around for almost any user-friendly angle and the magnetic pad makes mounting, removal, and repositioning your device incredibly simple. 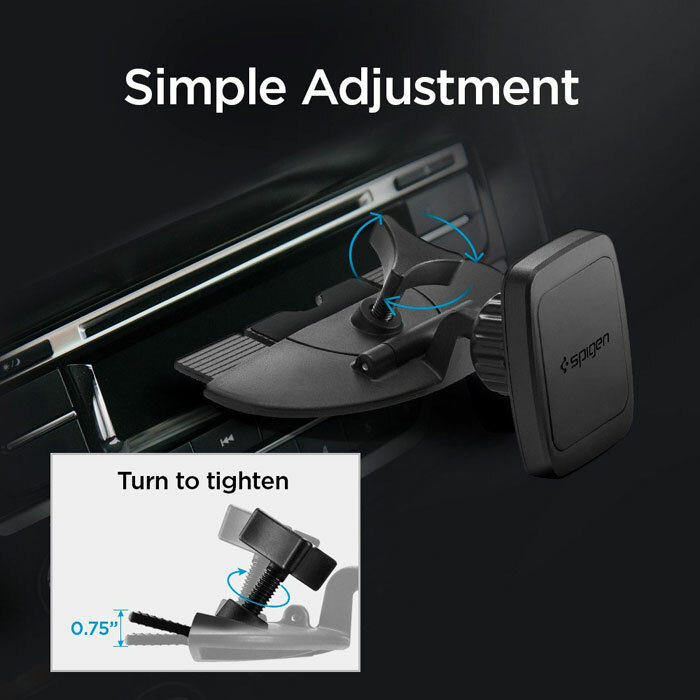 Make driving safe and enjoyable again with Spigen CD Slot Car Mount! Thumbscrew, and ball head joint offers an unparalleled view. Compatible with a wide range of smart phone devices. User-friendly installation: Simply insert, tighten , and place your device. 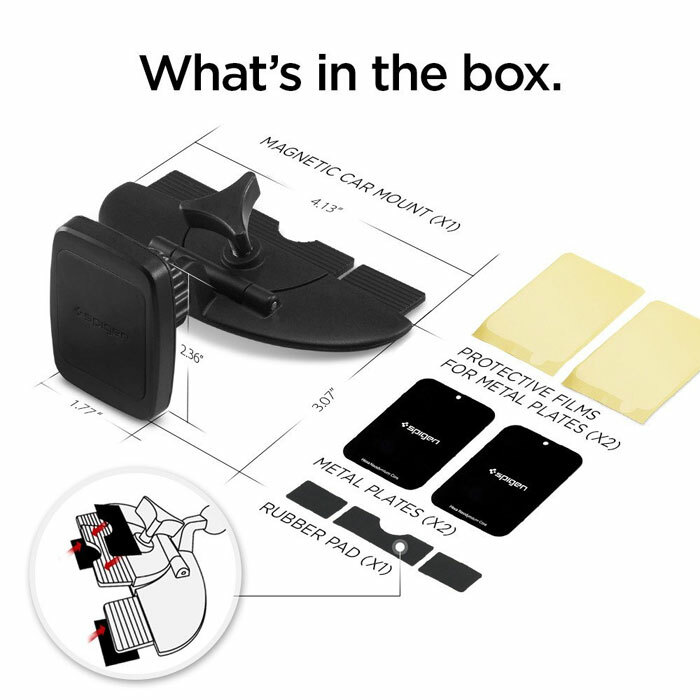 Cradleless magnetic pad allows for easy mount and removal. 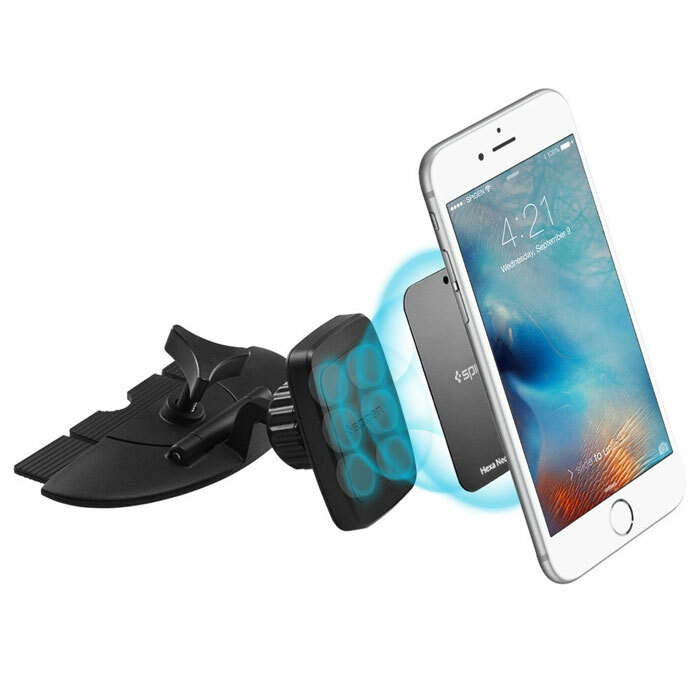 Strong magnets assure for a stable and firm hold of your device. Dimension: 4.13" x 3.07" x 2.36"
Please Note: Metal plates will hinder wireless charging capabilities.